Basket of Apples is most notable for the disjointment of perspective, as if the two sides of the painting were completed using two different points of view. The right side of the table is not in the same plane as the left side of the table, which was a stylized method used by Cezanne to incorporate the differences of viewpoint into an impressionistic still life. It was this technique that made it possible to bridge the gap between impressionists and cubism, which employed varying perspective and varying angles to depict subjects. 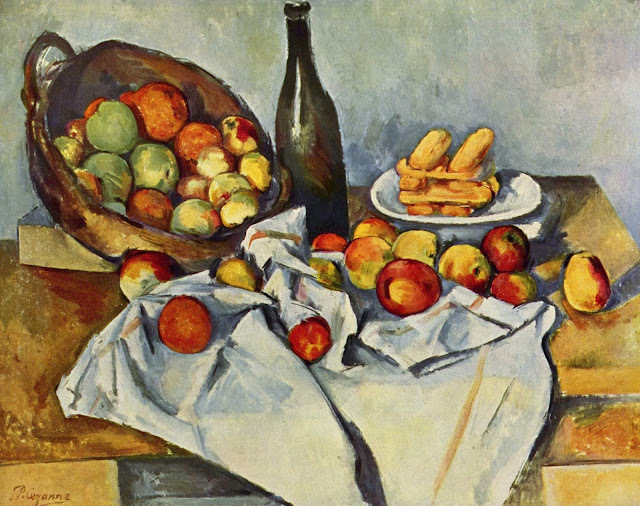 As such, this still life is an example of the way in which Cezanne tried to deal with the complexities of visual perception.